Arise and follow Charlie (to the top of the charts) | Come Here To Me! Charles J. Haughey could be all things to all people. When he emerged on stage during The Late Late Show special celebrating The Dubliners, he told Gay Byrne that what appealed to him most about the band was that they came from his part of the world, the northside of Dublin. Yet Charlie had been born in Castlebar, the son of two veterans of the revolutionary period from Derry, one of whom later joined the Free State army. Beyond any connection to the northside of Dublin though, another thing arguably linked Charlie and the band he was celebrating on Gay Byrne’s platform that night – they could both sell a record or two. Touring with Charlie is not only exhausting – it can be hazardous, with all those high-powered cars burning up country roads as entourage and security men dash at breakneck speed from one town or village to the next. It is not for one with a musical ear either. After a couple of dozen pays, Charlie’s Song loses whatever appeal it may have had initially – except perhaps for the tone deaf. The formula was always the same -shake hands, how are you, shake hands,kiss a woman, how are you. A tall dark-haired young man carrying a Polaroid camera followed Charlie everywhere. 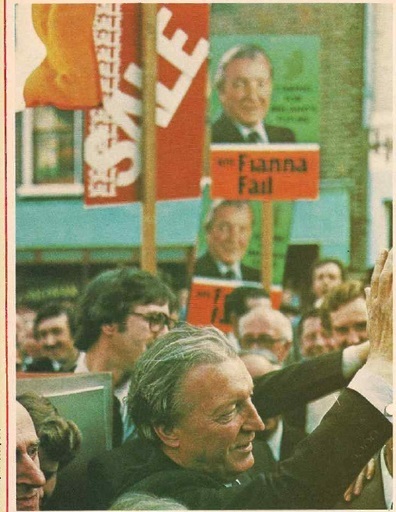 Again and again he took pictures of Charlie shaking hands with or kissing a punter – There’s a nice picture of you with the Taoiseach.And on election day you can go out and vote for the man whose picture is on your mantlepiece. In The Irish Times, Olivia O’Leary reported of an old woman watching Haughey work a crowd and asking “my God, are they all gone mad? 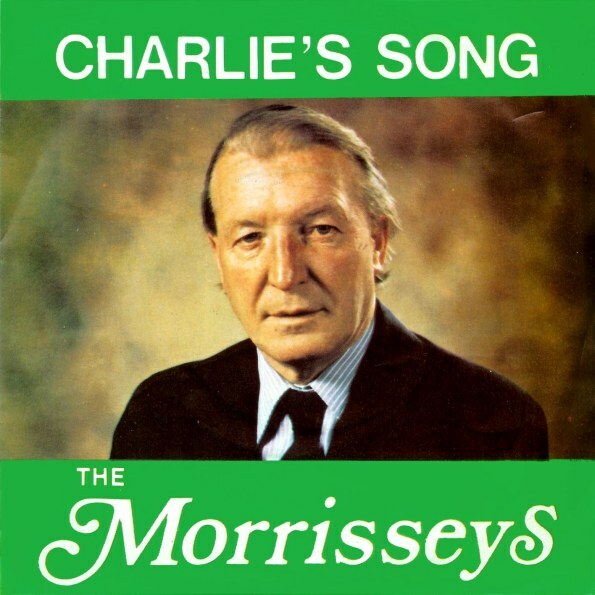 What is he but God’s creature like the rest of us, except he has a salary.” The refusal of RTE to play Charlie’s Song, for fear of bias, was attacked publicly by a number of figures in the Fianna Fáil party, including a young Bertie Ahern. A performance of the song on The Late Late Show was cancelled, leading to further complaints in the national press. 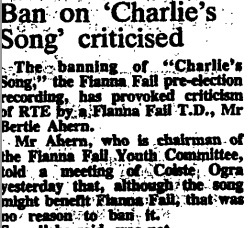 A young Bertie Ahern, “chairman of the Fianna Fáil Youth Committee” complains of RTE’s refusal to play the song. Recorded by Tipperary folk group The Morrisseys, it was not alone a commercial success, but one that opened many doors, as Donie Cassidy of CMR Records was destined to become a Senator in Leinster House in 1982. 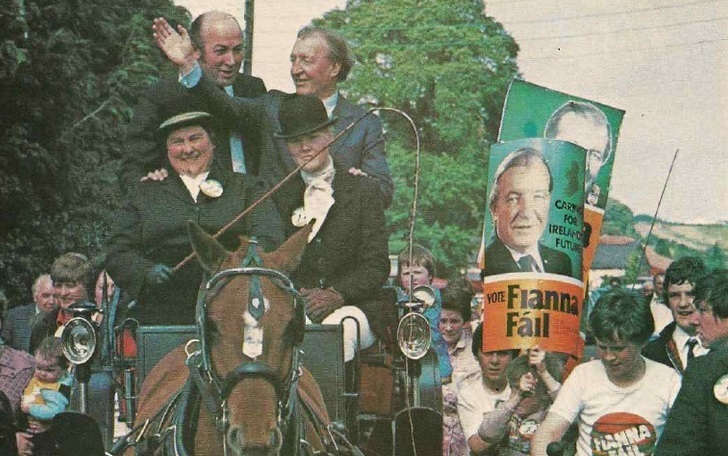 Ultimately however, the song couldn’t see Charie over the line – the election resulted in a Fine Gael-Labour minority government, and the loss of six FF seats. The Anti H-Block candidates succeeded in winning two seats, and over 29,500 first preference votes.